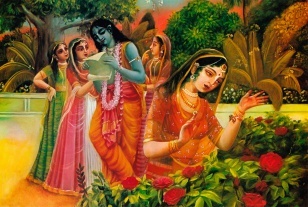 Previously Vanipedia had only 27 categories exposing the nature, qualities and pastimes of Srimati Radharani. On the 28th of May 2017 we started the massive effort to complete the indexing of Radharani. As of 15th of October 2018 we now have over 870 categories. This is what you see below. This category has the following 878 subcategories, out of 878 total. This page was last modified on 21 November 2018, at 14:27.